Hold the camera steady. 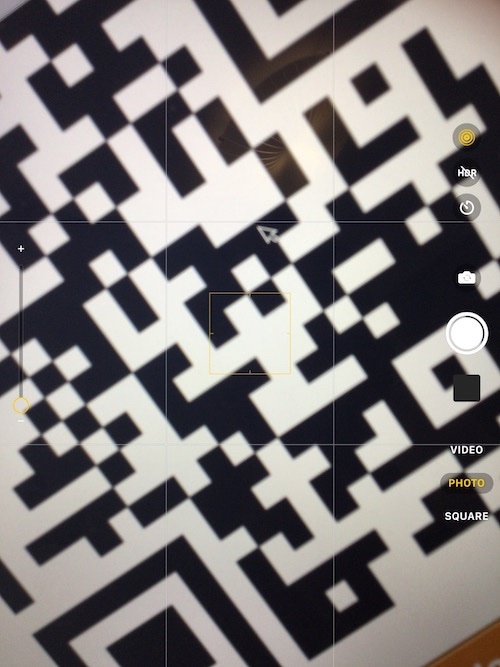 The QR code will be scanned instantly and you’ll see a notification at the top of the iPhone or iPad screen describing what kind of QR code you’ve scanned (website QR Code, Calendar QR code, etc. ).